I can’t be the only one who makes more mashed potatoes than we can possibly eat in one meal and saves them as leftovers only to never heat them up again. Right? 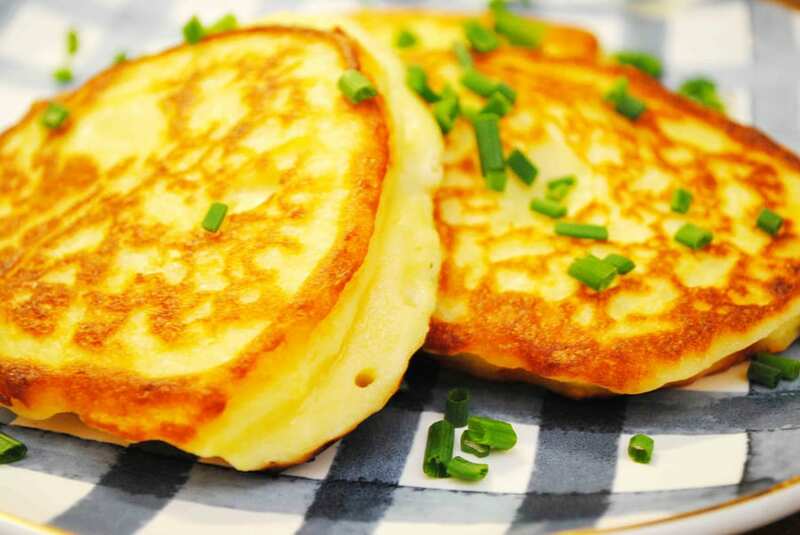 Enter in these Mashed Potato Pancakes. The mashed potatoes get a makeover and gobbled up quickly. They not only look like an awesome and unusual side dish but they taste amazing. Did I mention they are super easy too? What’s even better is they can be a reinvented side dish for dinner, or the star of the show as breakfast. I love topping them with a soft boiled egg and sopping up all that delicious yolk with the crispy hot potatoes…is your mouth watering yet? 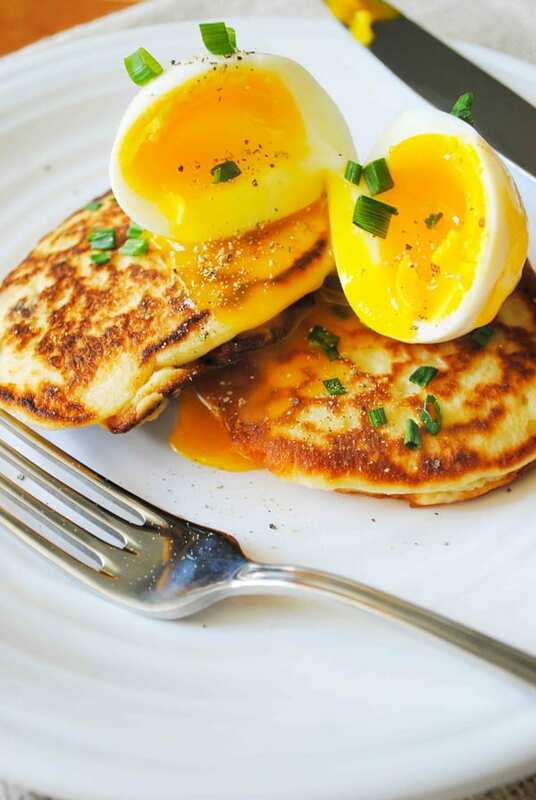 I have the recipe below for the pancakes AND a recipe for cooking soft boiled eggs. Easy easy! Heat the oven to 200 degrees with a baking sheet inside to keep the pancakes warm as they come off the stove top. Three cups of leftovers is enough to make about 12 pancakes. I can fit 4 at a time in my pan so that's about three batches. Mix the mashed potatoes, eggs, flour and salt together until it is all well incorporated. Heat your non stick skillet over medium high heat. Add in 1 tbsp olive oil. Drop 2 tbsp of mashed potato "batter" into the pan and allow it brown for about two minutes. Flip the pancake and flatten with your spatula. Allow it to brown for two additional minutes on the second side and then remove the pancake to the oven to keep warm. Continue with the remaining oil and batter until all of the leftovers have been cooked. I use 1 tbsp olive oil per patch. Serve warm and sprinkled with minced chives if you like. For a Soft Boiled Egg bring a small saucepan full of water to a boil. Carefully drop your desired amount of eggs into the boiling water, I use a large slotted spoon. Immediately set the timer for 6.5 minutes. Meanwhile fill a bowl with ice water, this will keep the egg yolks from continuing to cook while you peel them. Once the timer is done use the same slotted spoon and put the eggs into the ice water. Pull one out at a time to peel them. Place them on top of the pancakes. Cut with a knife and watch that delicious yolk ooze out.